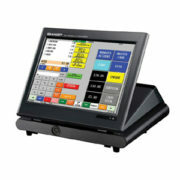 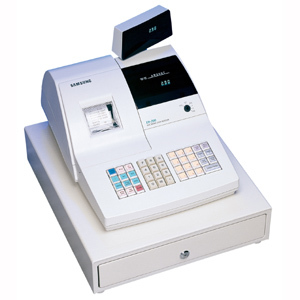 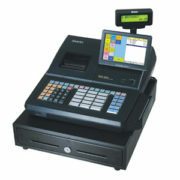 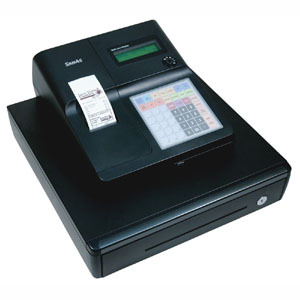 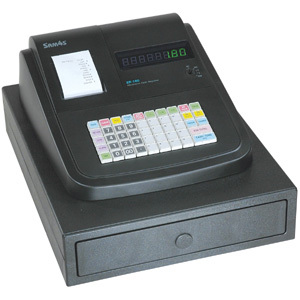 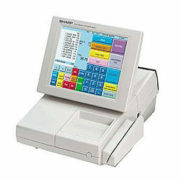 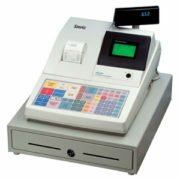 The SAM4s ER-290 is a low cost Electronic Cash Register with full size Electronic Cash Register features. 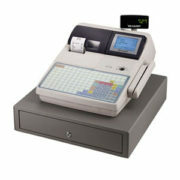 Accounting is a breeze with daily and period-to-date reports while hourly reporting helps you plan for busy or slow times. • 12 programmable departments provide information and control of your most commonly used items. 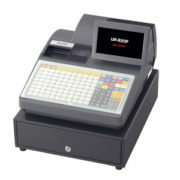 • 200 price look-ups (PLUs). 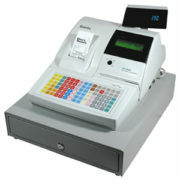 • 2 programmable percent keys for discounting by sale or by item. 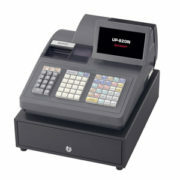 • Cash, check and two charge keys with paid out and received-on-account finalizing keys. 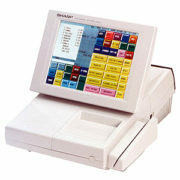 • Receipt stamp prints ?Thank You Call Again? 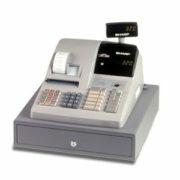 after the sale is completed. 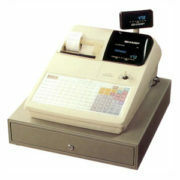 • Four tax tables for automatic tax calculation for department and PLU entries. 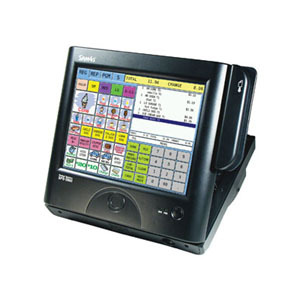 • Easy to read PLU, department, hourly sales, and period-to-date financial reports. • Easy to install ribbon. • Standard cash drawer with 5 bill, 5 coin compartment tray and security lock.